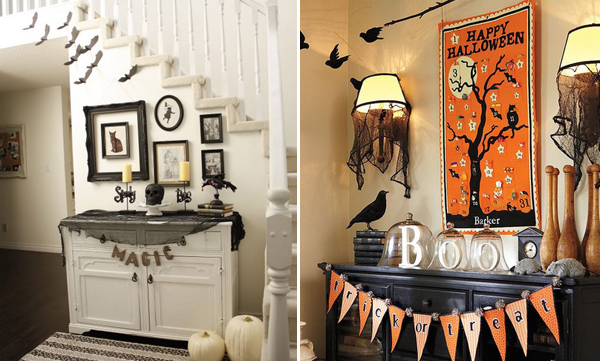 Halloween is in two days so if you need some last-minute decorations for home you’ll just need some black and orange paper, pencil, scissors, and glue. Paper decorations don’t have to be very intricate. 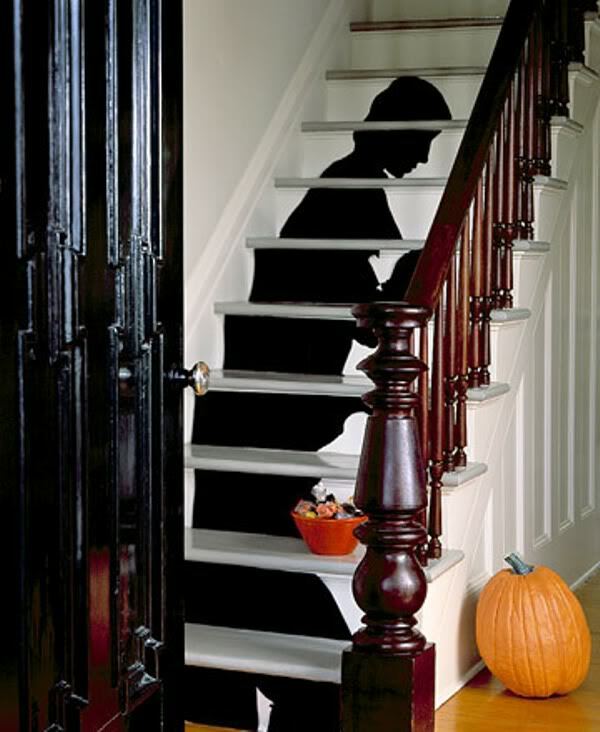 The beauty of paper decorations is that you can sketch and cut out a shadow decoration for your window or stairs. You can use stencils if you can’t draw by cutting out the pictures of bats, rats, mice and other creatures. 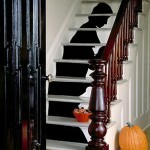 Silhouettes are he easiest paper decorations for Halloween. 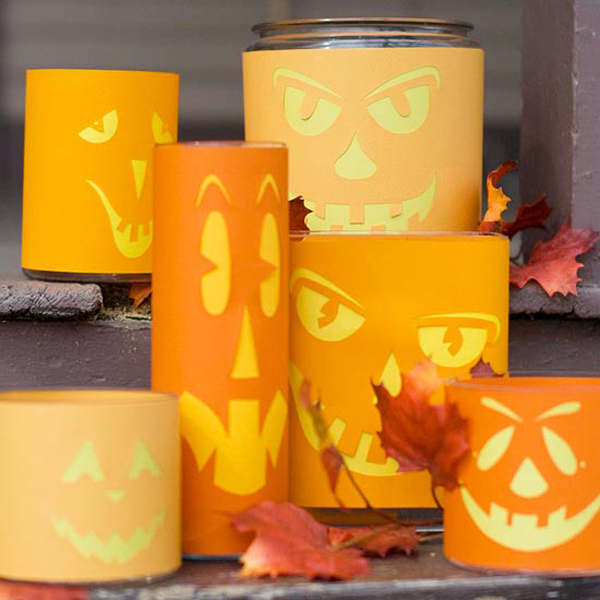 They also help create that spooky holiday atmosphere and you can use them anywhere at home from door to windows to ceiling. 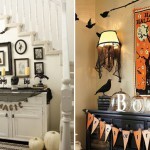 Add threads to silhouette bats and hang them onto the ceiling or a scone. 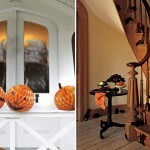 Halloween-themed decoration flags are also a great and easy way to decorate your home. These are easy to make and can be used outdoors as well as indoors. 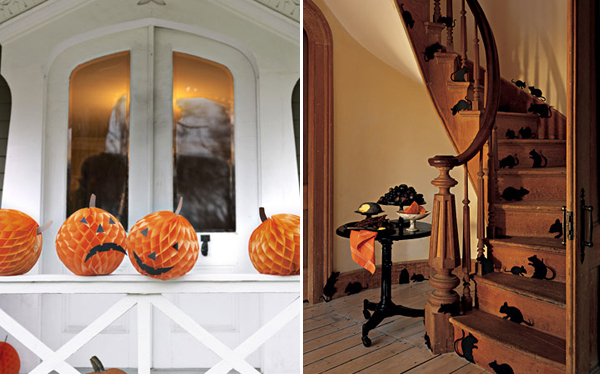 You can use a pen or Halloween-themed stickers to decorate the flags. 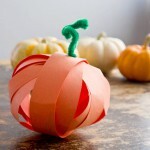 If you are good with paper there are many more ideas for 3D decorations like lanterns, pumpkins, and other things. You can create a table centerpiece creating paper decorations enhancing them with ribbons, sheer fabric and faux cobwebs.